Just Nan Needle Slides are just the thing to store your needles and pins. Each tin is colorfully decorated and contains a powerful magnet to hold your pins securely in place. The tin top easily sildes on and off and securely locks to protect your contents. 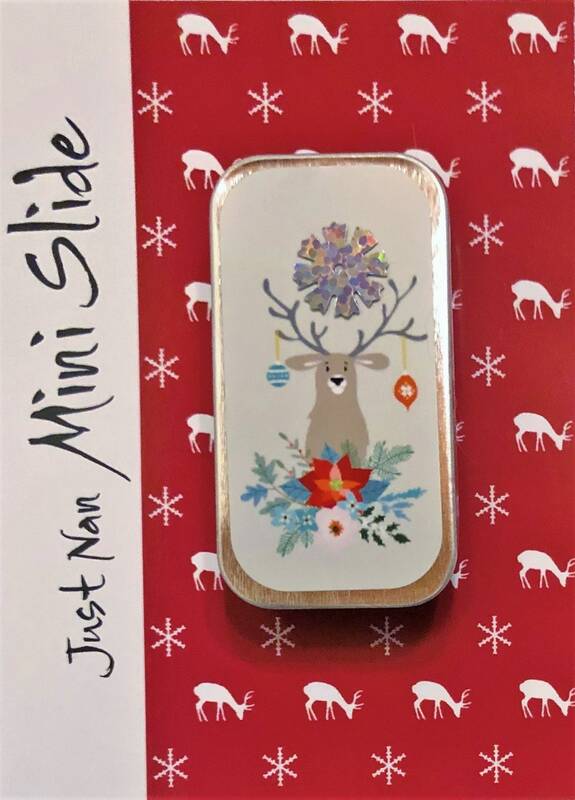 A cute accessory and gift, these slides have delighted stitchers around the world. A unique Just Nan offering and a wonderful addition for your needlework collection!